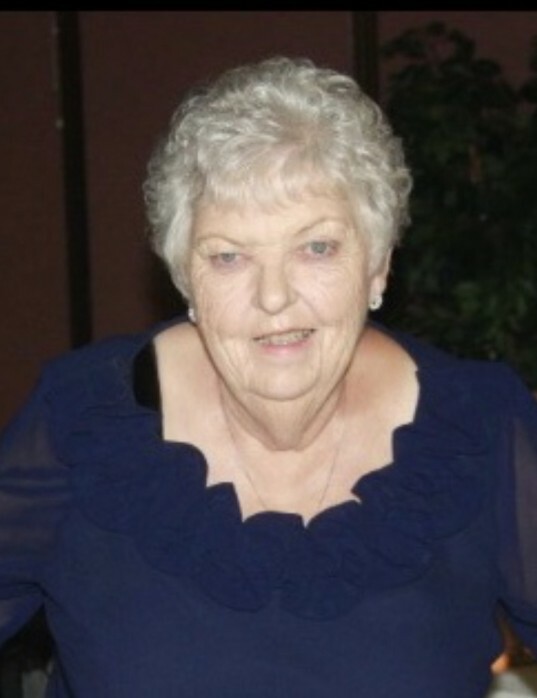 Ethel Lund, 82, of Ladd passed away on April 16, 2019 in Manor Court of Peru. Funeral services will be 10:00 AM Friday in the Hurst Funeral Home in Ladd with Pastor Mike Slutz, Pastor of Hollowayville United Church of Christ, officitating. Burial will be in Ladd Cemetery. Visitation will be 4:30-7:00 PM Thursday in the funeral home and additional visitation will be 9:00 AM until time of services on Friday. Mrs. Lund was born in La Rose on January 17, 1937 to George and Lillian (Johnson) Neuhaus. She married Dale Lund on October 20, 1956. Mrs. Lund worked at Westclox, IVCH Payroll Department, Ladd Grade School as secretary, and then was an assistant in the Ladd Library. Mrs. Lund enjoyed sewing and quilting. She was a traveler and cross country skier. She also was fond of playing cards, attending the senior sociables at the Ladd Community Center, and going out to eat with her friends. She was a member of the Hollowayville United Church of Christ and past member of the Ladd Presbyterian Church. Mrs. Lund is survived by her son Robert (Mary) Lund of Ladd; daughter Kathy (Tim) Martin of Ladd; three granddaughters Jessica (Jeff) Lannen of Ladd, Annie Martin of Denver, CO, and Mollie (Brian) Baranowski of Milwaukee, WI; two great grandchildren Harper and Leo Lannen; and many nieces and nephews. She was preceded in death by her husband Dale on April 15, 1996, two brothers Gene and Glen Neuhaus, and two sisters Ruby Roebuck and Lucy Ward. Memorials may be directed to March of Dimes or Hollowayville United Church of Christ.